The inspirational story of how Tracy Edwards, a 24-year-old cook on charter boats, became the skipper of the first ever all-female crew to enter the Whitbread Round the World Race in 1989. Tracy's dream was opposed on all sides: her male competitors thought they would never make it, the chauvinistic yachting press took bets on her failure, and potential sponsors refused her, fearing that she would die at sea and generate bad publicity. But Tracy refused to give up: she re-mortgaged her own home and bought a second-hand boat, putting everything on the line to ensure the team made it to the start line. Along with self-belief, Tracy has doubt in equal measure and is only able to make it through because of her remarkable crew. 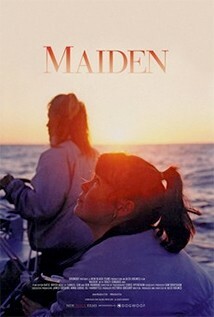 Told through a combination of archival footage and present-day interviews, ‘Maiden’ places us right there with Edwards and her crew, from pre-start to post-finish, allowing us intimate access to problems mundane and frightening.